The most common cause of pool cracks is ground movement. Certain construction issues and freezing conditions, while not common, can also cause pools to crack. Soil shifting, flooding, and freezing temperatures are all conditions that negatively affect the structural integrity of your pool. Is your pool leaking water? Let us help you determine when leaks are serious enough to require repair. Superior Pool Service will consult with you on how to determine exactly where and how severe your leak is. Once this area is located, our service personnel will take the appropriate actions to fix the problem. One phone call is all it takes to get your pool back in proper working order. Our goal is to help you enjoy your pool without distraction. Cracks in your pool surface are concerning but common. The most common cause of pool cracking is ground movement. Not all cracks need to be addressed as emergencies; however, let us perform a dye test to see if they are indeed cause for immediate concern. We will pinpoint and repair leaking cracks before they become unmanageable. Severe cracking can be the source of water loss in your pool. If your pool is leaking water, an epoxy injection followed by a topcoat of a flexible waterproof membrane and a plaster patch sealant is Superior Pool Service’s typical protocol. In extreme circumstances, the structural integrity of your pool may be compromised and therefore also deserves immediate attention. Superior Pool Service is qualified to address these issues as well. 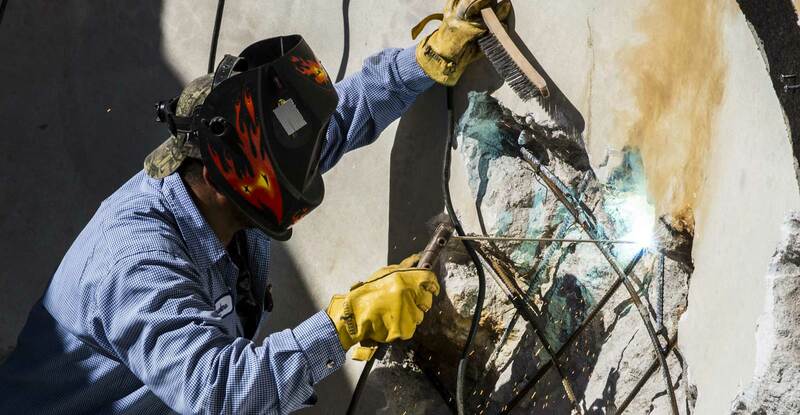 The focus of crack repair is to prevent further leakage of water through existing pool cracks. In some cases, the structural integrity of the pool will also be addressed. Will the fix be permanent? Since all crack situations are different, there is no guarantee that the fix will be permanent. Unless the cause of the crack is identified and addressed, the pool may continue to crack. Do all cracks need to be repaired? Surface cracks are not uncommon in swimming pools. If there is water loss in the pool, these cracks can be dye tested to see if they are leaking. Surface cracks that do not leak do not necessarily need to be repaired. The first step is to sawcut any cracks and chip out the plaster to expose the gunite. At this point the crack is evaluated for repair. Any cracks smaller than 20 millimeters will not accept injection of epoxy and will be topcoated only. The topcoat provides a flexible waterproof membrane to prevent water leakage through the crack. In cases where the pool has cracked in excess of 20 millimeters but not greater than ¼ in, the crack will be pressure injected with epoxy, or in essence “glued” back together. The epoxy will be allowed to set for several days, and then the epoxied crack will also be topcoated with a flexible waterproof membrane. In each case, after the topcoat is complete the materials will be allowed to cure, at which point a plaster patch can be applied. 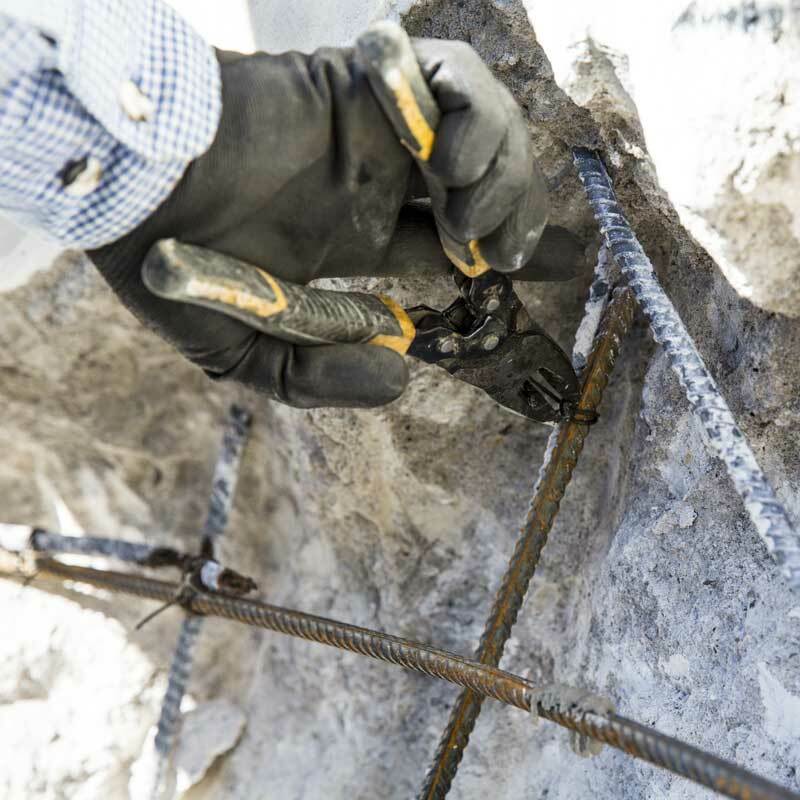 In severe cases where there is damage to the gunite or to the rebar in the gunite, areas may need to be jackhammered out and rebar replaced/added to solve the problem. In cases where this work is required, additional charges will apply. 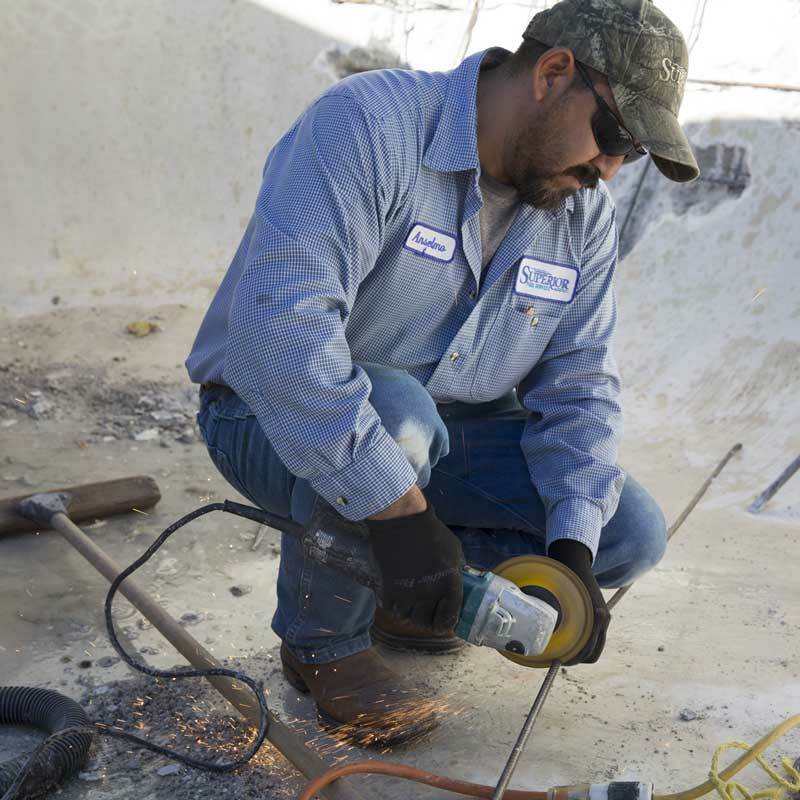 In cases where the entire pool is not being replastered, the repaired area will be patched. Every attempt will be made to match the existing plaster; however, due to the many factors that created the “current” condition/look of the plaster, there is no guarantee that the plaster patch will match the existing plaster. Because we cannot control the movement that causes cracking, cracks are warranted for 30 days. There is no guarantee that the plaster patch will match the existing plaster. During the repair process, the pool is typically drained, and while Superior Pool Service makes every effort to ensure that it is drained properly, we can not be responsible for any damage that results from the draining of the pool. Empty pools are inherently dangerous. It is the homeowner’s responsibility to ensure that all sprinkler systems are turned off and that small children and pets are kept away from the empty pool.